Although I used this photo in my other blog, I thought it is fitting here too. 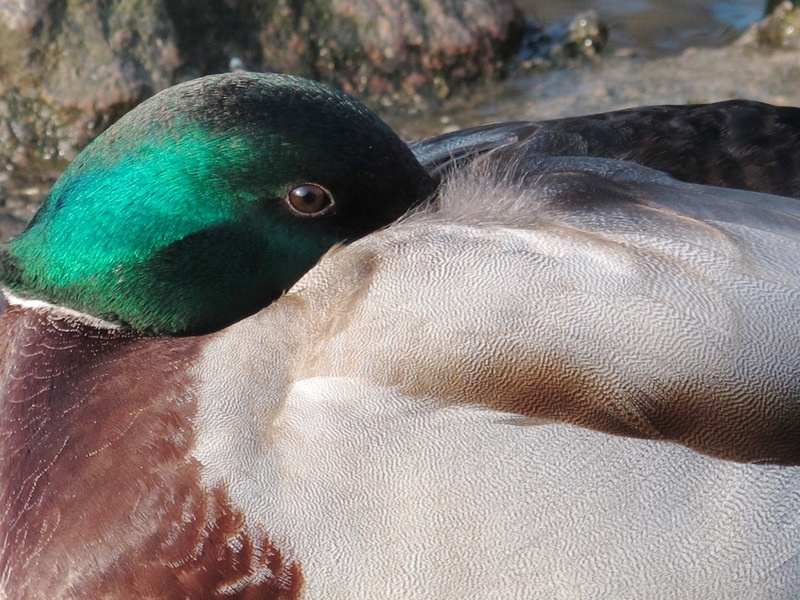 A drake Mallard in the park that didn't flinch and rested while I took his photo. That is a very detailed portrait. Your camera must be rather good too. It is very portable, I always take it with me, which I like, that's the only reason I don't get a SLR.